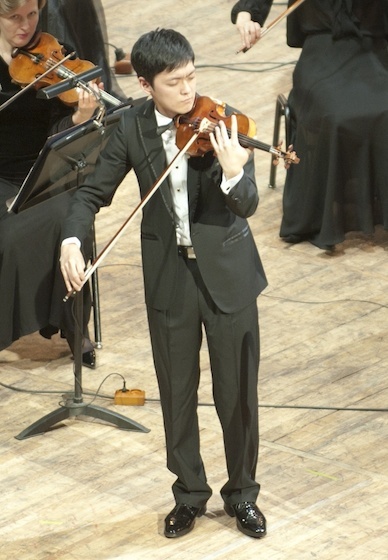 In a puzzling presentation Wednesday in Moscow, the 2015 International Tchaikovsky Competition awarded no gold medal in the violin division, awarding a silver medal to Yu-Chien "Benny" Tseng. There were also three bronze medals, and a fourth and a fifth place prize. The competition, which has been in progress since June 15, includes violin, cello, piano and vocal divisions. Competition officials said that, thanks to the Internet, a record-breaking 10 million viewers from 179 countries watched the competition, which featured 61 musicians from 22 countries. Gala concerts will take place July 2 in the Great Hall of the Moscow Conservatory, and July 3 in St. Petersburg. Those can be watched on live feed via Medici.tv, where archived performances are also available. Jury members in the violin division were: Salvatore Accardo, Liana Isakadze, Vadim Repin, Boris Kuschir, Ilya Kaler, Maxim Fedotov, Vera Tsu Wei Ling, Mihaela Martin, Victor Tretyakov, Michael Haefliger, James Ehnes. (Vadim Repin replaced Leonidas Kavakos in the final rounds). First prize in the cello division was awarded to Andrei Ioni?a (Romania); first prize in the piano division was awarded to Dmitry Masleev (Russia); first prize for women's voice was awarded to Yulia Matochkina (Russia); first prize for men's voice was awarded to Ariunbaatar Ganbaatar (Mongolia). The Grand Prize of $100,000 for all categories will be announced later this week. I thought the rules had been changed at the Tchaikovsky to award a gold medal at all future competitions (including this one)? Does the judges panel seriously believe that none of these musicians delivered performances worthy of first place? I can't imagine how discouraging it must be to be told, "Only one of you was good enough for silver, and three of you for bronze." It's ludicrous and it undermines the legitimacy of the competition. Are the judges so threatened by this new wave of talent? The scoring system is just ridiculous. The good news is that there were so many stunning performances, and yes, every player is a world-class winner. But someone deserved to win gold. It's staggering, the time, effort, heart and soul that these young musicians pour into performing in this kind of competition. It almost feels like a breach of contract, to fail to grant the awards as promised. I was really surprised by the result: Clara Jumi Kang got 4th price? It is really a shocker. Bomsori Kim actually got 5th prize but the presentation of the laureates was sooo messy that nobody understood!!! There is some dispute, and it's understandable considering how puzzling everything was, about Bomsori Kim. The competition's Facebook page put her at fifth place, but the announcers said that she was fourth place along with Clara-Jumi. There were many outstanding performances. At least one of them deserved gold. Not awarding gold for any player who delivered breathtaking performance after breathtaking performance makes one wonder if Tchaikovsky is the competition to avoid. I think the piano section is more reasonable: Gold: Masleev and silver for George Li and Lukas Geniusas. But for violin it is too off the chart. Clara Jumi Kang and Bomsori Kim were judged unfairly. Last Tchaikovsky I had the same feeling for piano section: Yoel eum Son of South Korea should have won the gold medal of the piano. I had high expectations for Kang because of her previous experience and the first half of her recital was stunning. She did make a -lot- of technical mistakes throughout the competition however and that probably dropped her down. I've been following Benny for a couple years now and this was one of his best showings in terms of musicality and maturity. Even though his Sibelius and Tchaikovsky concertos were stunning, they also had some technical hiccups and places where the phrasing could have been clearer. Almost world-class, but not quite there. And I think the judges were looking for the next world-class soloist. Personally I believe they should have awarded him gold in the spirit of the competition but I can definitely see where they were coming from. A similar thing happened at an international cello competition in Bristol (UK) many years ago. No gold was awarded but there were two silvers instead. I understand the reason was that the judge, Paul Tortelier, was of the opinion that no player was up to the standard he expected for gold. Golds had been awarded at previous and succeeding competitions in that international series (no longer extant, btw), so Tortelier was evidently very serious about keeping up the standard on the one occasion when he refused to award a gold. That is the risk of participating in competition again after winning prestegious competitions already. I hope Clara Jumi Kang's career is not damaged after only getting the forth at Tchaikovsky. She already won the prestigious Indiana Internation and Sendai competition. But only getting 4th prize won't hurt her career. She is a talented violinist anyway. Looks like it is indeed fifth prize for Bomsori Kim. Interview with jury member Maxim Vengerov, begins at 3:20. I listened to the whole thing, hoping for enlightenment about this outcome, but they do not address it. Perhaps they did the interview before the announcement. I was very surprised that George Li would share second with Lukas Geniusas. One has a cultured mature sound while the other has a young a bit bangy and choreographed in the style of Lang Lang approach to the piano. I hope this does not lead to a new trend among future musicians. That's ridiculous. It's like olympic game that is held only every 4 years. Have you seen in a swimming game 100 meter winners not been awarded a gold medal?? (not talking about drug usage) To what standards that no gold should be awarded for the violin competition? Even if there is such standard, it still make no sense to me. Every final performer is advanced from previous rounds. Particularly this is Tchaikovsky competition the top one that every competitor try to win. Obviously I believe anyone who has been ranked 1st position in the final should be the gold medal winner no matter what. I agree with Laurie, it is not good for the future of Tchiaikowsky competition. Why members of jury changed? Why Tarara that played very well were not in semifinal? Also i can understand that in a jury with Kavakos,Repin,Vengerov there is not a 1 price but there are too much inconsistances. But guys wthat a luck we have to assist in our home to fantastic competitions like Bruxelles and Mosca and to discuss about them!!! !Also i want remember that also Oistrach in 1934(Wieniawky competition took the 2 price. I think Clara Jumi Kang also should have been ranked higher, she is a great artist. However, from the semifinals, I thought Yoo Jin Jang also should have made it to the finals; a wonderful recital, great programme with real music (Kang's recital contained two real show pieces with not so much musical content, whereas Jang's programme was interesting). I'm so glad that this anonymous poster who was there for the finals pointed out how the level was just so extremely low. Violinists eat their young, that's all I can say. I know you mean well. But there can be other reasons to want to critize the level of the competitors than wanting to "eat your young". Some people feel strongly that awarding a gold medal when the level is not up to the highest standard of playing could be harmful to our profession..
You seem to be of a different opinion and really, it is an endless discussion that can be debated this way or that and I am not here taking a stance either way. But let us keep the discussion civil. Statements of violinists wanting to eat their young as a response to someone being of a different opinion than yourself make this firsttime reader want to run to a different forum. (I am only commenting on that because you are not only submitting to the comment section but writing articles as well). For what it is worth, in my opinion the competition did not live up to a level worthy of giving a gold medal. Reminds me of the North London Music Festivals in my childhood, in which I got the silver medal several years, but a gold was never awarded (not to be confused with the London Music Festivals, in which I don't think I did better than bronze - again, gold was not awarded). Thank you to my music friends who have asked for my opinions on the final results of the 2015 Tchaikovsky International Competition. Many of you know that my preferences of prize winners are usually the competitors who have the total package, the “IT” factor. My viewpoint is more of a “commercial potential”, rather than just technical perfection and one that pleases academic professors. In an ideal situation, I truly believe that top prize winners of a major competition such as the Tchaikovsky should be great ambassadors to the competition and mutually help each other maintain their reputations. It was interesting to see that 4th prize winners of this year’s competition were my true favorites (except for the VOCAL DIVISION, Men’s). Before I provide my personal commentary, I do want to specially recognize Richard Rodzinski for doing an outstanding job of bringing the 2015 Tchaikovsky International Competition to people all around the world. He is someone that I truly respect as an arts leader and his involvement with this competition will only help the competition’s reputation in the future. He did an excellent job when he was the former President of the Van Cliburn International Piano Competition. Fort Worth, Texas’ loss is Russia’s gain. 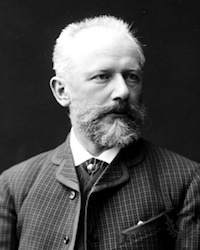 The Tchaikovsky International Music Competition is one of the largest, most prestigious, and most difficult competition in the world. Everyone who participated is tremendously talented and should be proud of the experience. Unfortunately, politics and “other factors” can influence the final outcome (with an outcome that many can disagree with). In my book, Sergei Redkin would have not advanced to the finals (instead I would have replaced him with Reed Tetzloff from the USA). Many of the people in the audience has two big favorites – Lucas Debargue and George Li. Both are exceptional artists. Although I felt George Li was a stronger “overall” competitor and did better in the concerto finals, Lucas had the most special “musical quality” that seemed like he was a reincarnation of Samson Francois. Up to the chamber concerto round, I felt Lucas slightly had the edge. However, George Li excelled in all rounds. My reason for placing him slightly behind Lucas is that he needs a little more maturity. Despite the actual results, I was truly happy for George and he represented USA very well. It would have been great to see Lucas be the first ever gold medalist from France. This year’s violin jury had tremendous difficulty reaching a consensus and thus the results shocked everyone. For me, I was disappointed Mayu Kishima from Japan did not make the finals and would have replaced her with Pavel Milyukov from Russia. The most surprising shock was Clara-Jumi Kang not winning the gold medal. Clara has it all – she is like the Yuna Kim of violin. She has beauty, impeccable technique, solid musicianship, great PR skills, and the total “IT” factor. It was rather strange that she wanted to take the risk of entering this ever controversial competition, despite her Gold Medal successes at the other major international competitions. The judges preferred Yu-Chien “Benny” Tseng from Taiwan over Haik Kazazyan from Russia. Both are very top notch competitors. I slightly preferred Haik Kazazyan over Yu-Chien. Haik is a great representation of the old Russian school of violin playing and I’m sure Tchaikovsky would have given a nod of approval. Yu-Chien Tseng is a wonderful violinist, but lacks a little bit of artistic maturity. Everything he did was “clean-cut”, technically good, but not risk-taking. Although very young, I found Bonsori Kim from South Korea to be very promising. She might not be ready to be a medal contender at this moment, but I heard superb musicianship and she will do great for her future career. I was very happy to see a competitor from the under-represented country of Moldova make it to the finals. Alexandra Conunova was artistically interesting, but technically little bit off. I thought her final performances were very good, yet her gala concert was a little off (possibly due to fatigue). One discipline that I agreed with at least the names of the finalists (but not the ranking) was the CELLO competition. I was disappointed to see Pablo Ferrandez-Castro from Spain not placed higher. He was a true artist and along with Edgar Moreau and Gautier Capucon, he is going to be one of the next cellists to watch. Plus, it would have been great to see a first gold medalist ever from Spain (like the 2015 World Figure Skating Championships). Jonathan Roozeman from Netherlands was a solid competitor but played a bit “safe” at times. The declared winner Andrei Ionina from Roumania was stellar, but I felt he focused more on pyrotechnics instead of emotion. The two Russians were very good and the Seung-Min Kang from South Korea was actually interesting. So there you have it! This is my personal opinion. I am not looking to start any debates or be disrespectful to anyone. Everyone is entitled to their own opinion, and this is my opinion. Best wishes to all of these excellent musicians for having the courage to do participate in this year’s Tchaikovsky Competition.